Benjamin Graves, CEO and President of the Minneapolis-based hotel development and management company, says they are thrilled to have the opportunity to provide MSP Airport’s customers and the Twin Cities with a new, luxury boutique hotel experience. In keeping with the MAC’s mission, Graves says they will “create and manage an exceptional guest experience within a visually captivating setting that exemplifies and celebrates local history, arts, culture, and ambiance.” The hotel brand is yet to be determined. 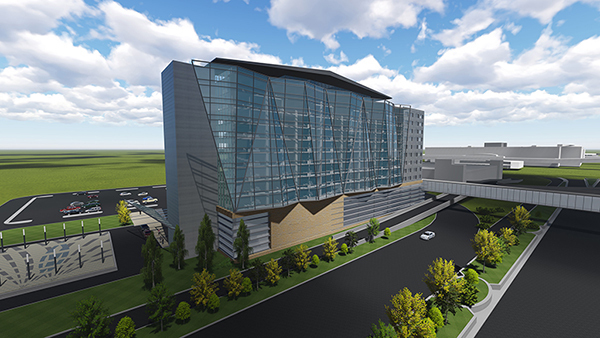 The 300-room hotel will be built adjacent to the outbound roadway and the U.S. Post Office at Terminal 1-Lindbergh. The hotel will be easily accessible to both travelers and non-travelers, with travelers accessing the terminal via a new skyway and security checkpoint. Part of the airport’s long term plans, the decision came as a result of a Request for Proposals issued in November 2015, for which the MAC received three proposals. Two of the three made it to the interview stage with interviews conducted by a panel of six reviewers. The intention is for construction to begin late 2016 and be completed in time for Super Bowl LII, to be played in Minneapolis in February 2018. In February, Minnesota Governor Mark Dayton appointed two new commissioners to the Metropolitan Airports Commission (MAC) board. Dixie Hoard of Thief River Falls replaced retired Maj. Gen. Paul G. Rehkamp of Marshall as one of the four Greater Minnesota representatives. 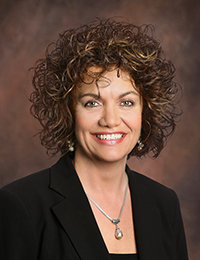 Hoard, now a Realtor serving the Thief River Falls area, worked for almost 30 years as a flight attendant for Northwest Orient Airlines, Northwest Airlines and later Delta Air Lines before deciding it was time to take on a new challenge. Hoard says she is looking forward to applying her first-hand experience commuting from small Minnesota airports to MSP, as well as her time flying internationally, to help improve the airport experience for everyone. She says she learned what works and what doesn’t in airports around the world. Hoard lives in Thief River Falls with her husband of 29 years, Chuck Hoard. She has two grown children, Andrew and Amanda. 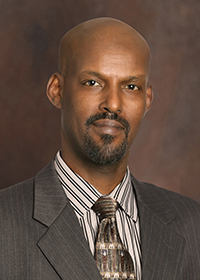 Ibrahim Mohamed, is the new District H representative, replacing Tammy Mencel. Mohamed, a resident of Rosemount, works as an electric cart driver at the Minneapolis-St. Paul International Airport, with previous airport jobs as a baggage runner, cabin cleaner, lavatory/water truck driver, ticket verifier and customer assistant. Mohamed says, as a board member, he looks forward to representing the people who come to work every day to ensure MSP Airport runs smoothly. Mohamed is married to Amran Omar and has five children. No longer associated with alternative or fringe lifestyles, today these terms are simply synonymous with responsible citizenship and business practices – and for good reason. Today, more than ever, people are talking about how their individual decisions could impact both themselves and others long term. Consumers are consciously choosing to spend their money and throw their loyalty to companies that are as concerned about the future as they are. Government organizations are not exempt. If anything, it could be argued that government must take the lead in sustainable practices and innovation. After all, private companies come and go. Governmental entities last (almost) forever. At the Metropolitan Airports Commission we understand this. In 2014, the MAC began a process of formally documenting its current and future efforts to minimize the impact its operations and practices have on people and the environment. The result will be a sustainability roadmap showing us where we’ve been and where we’re going – providing a path forward not only for enhanced environmental protection, but also for social and economic progress. The MAC’s first sustainability plan should be completed later this year. In the meantime, we’d like to share some highlights with you of the MAC’s 2014 environmental accomplishments. At the March 16 board meeting, Chad Leqve, director of environment for the MAC, provided details about the department’s activities in support of the MAC’s mission. In 2014 the MAC introduced a more efficient and environmentally friendly method for cleaning MSP Airport’s 48 levels (22,000 spaces) of parking ramps. Municipal Cleaning Vehicles (MCV) to do the “dirty work.” The MCV technology uses a high-pressure spray and collection design that completely recovers the wash water. The recovered wash water is filtered and then reused to clean an additional level. The new process both saves water (580,000 gallons per year - the equivalent volume of a four-person hot air balloon) and keeps vehicle fluids and salt out of the storm water ponds. In October 2014, in partnership with Ameresco, the MAC began construction of a $25.4 million, three-megawatt solar energy facility atop the Blue and Red parking ramps at MSP’s Terminal 1-Lindbergh. The project includes replacing almost 8,000 light fixtures in the parking ramps with energy-saving LED lights and providing four additional electric vehicle charging stations in the ramps. When completed, the solar facility has the capability of providing up to 20 percent of MSP’s peak-load energy capacity. Annually it is expected to eliminate the equivalent greenhouse gas emissions of 1,434 passenger vehicles annually. Recycled more than 1,600 tons of non-regulated materials (e.g., scrap metal, baled cardboard, comingled recyclables and wood pallets), resulting in avoided disposal costs of more than $152,000. Composted more than 432 tons of organic waste. The amount of organics composted increased 62.4 percent from 2013. Click on this link to learn more about the organics composting program. Installed additional water bottle fill stations that help minimize the need for travelers to purchase water in disposable plastic bottles. The Metropolitan Airports Commission is also proud to be one of the 59 businesses recognized as a Hennepin County Environmental Partner. The MAC is the leader in both monitoring and mitigating noise impacts from aircraft operations on neighboring communities. Updating MSP Airport’s annual noise maps. Assisting the Noise Oversight Committee in drafting Resolution #1-2014, asking that the FAA conduct a case study at an airport similar to MSP and engage in significant public outreach and input activities in communities around MSP Airport before implementing RNAV (Area Navigation) departures at MSP. Completing a noise monitoring study in the cities of Edina and St. Louis Park in consultation with residents, community leaders and state lawmakers. Calling all pilots and aviation enthusiasts! The Anoka County- Blaine Airport will once again serve as the venue for the Minnesota Pilots Association’s second annual Great Minnesota Aviation Gathering, April 10 and 11. Admission: $5 per person - per day. Free to MNPilots members and attendees 18 and under. Go to the MNPilots’ Web site for all the details regarding flying in, where to stay, a schedule of events, and more. 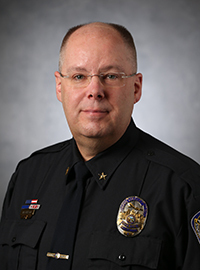 Mike Everson, chief of police for the Minneapolis-St. Paul International Airport (MSP), has been appointed president of the Airport Law Enforcement Agencies Network (ALEAN). Everson has been an active representative for MSP for the past 14 years, serving on several committees and as a board member since 2010. ALEAN serves and represents more than 100 airport law enforcement agencies throughout the US and Canada. Committee meetings: Monday, April 6 at 9:30 a.m., 10:30 a.m. and 1 p.m.
Full board meeting: Monday, April 20 at 1 p.m.